One of the charms of being a historian is tracking down and reading primary sources. I’ve been meaning for some time to track down Sir Henry Mainwaring’s advice on how to wage war against pirates. I finally got hold of it online the other day. It’s not quite what I expected, but that, too, is valuable information. I don’t have a picture of Henry Mainwaring, as there doesn’t seem to be one, but I can tell you a bit about him. Mainwaring[i] was born in 1587, the second son of a gentleman. He attended Brasenose College, Oxford, getting his B.A. in 1602. 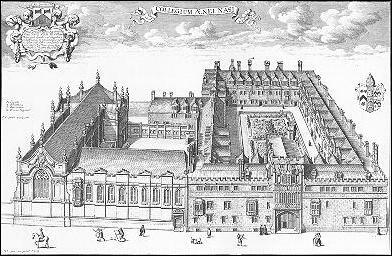 He was admitted as a student to the Inner Temple (a law college) in 1604. What Mainwaring did over the next half-dozen years or so is unclear. He’d had an uncle who’d been Vice-Admiral of Sussex, and given his subsequent career, it is reasonable to suppose he served on ships at some point. He also developed the art of cultivating patrons. And since in 1611 he was made the captain of a castle near Southampton, he possibly had some military experience overseas. 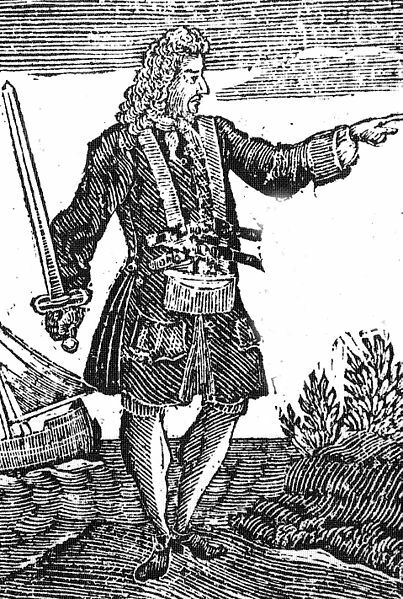 However, if he ever served as the castle captain, it was not for long, for in the same year he received a commission to hunt pirates in the Bristol Channel. 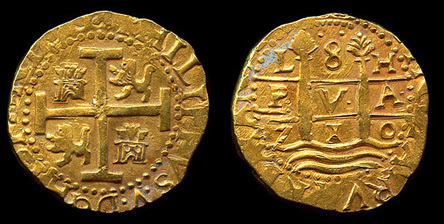 As often has happened, piracy flourished after the end of a war, in this case the war between England and Spain, which had concluded in 1603. But it was not just the coasts of England and Ireland that were infested with pirates. 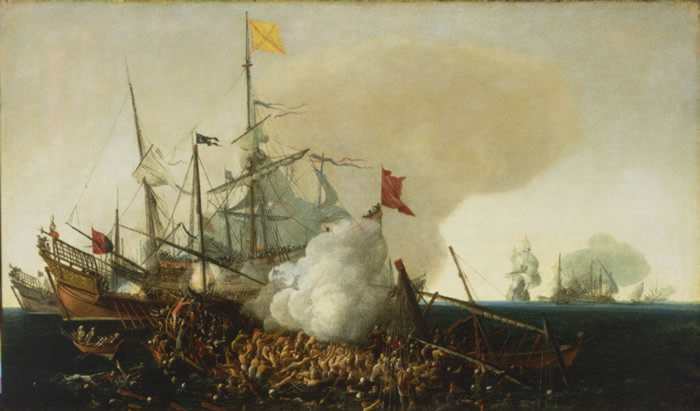 Many English sailors, still willing to wage war against the Spanish after the conclusion of peace, took service with the Barbary pirates and their Christian opponents in the war of corsairs that was perpetually waged across the Mediterranean. And this, not fighting pirates, is where Mainwaring ended up. By 1613, he was the head of a pirate fleet based in Mamora, a port on the Atlantic coast of Morocco. 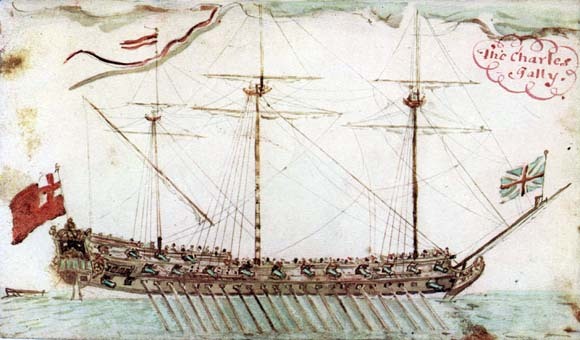 He avoided taking English ships, but was especially pleased when he captured a Spanish one. He voyaged to Newfoundland in 1614, and supplied his vessels from the French and Portuguese fishing fleets there with men and ship stores. 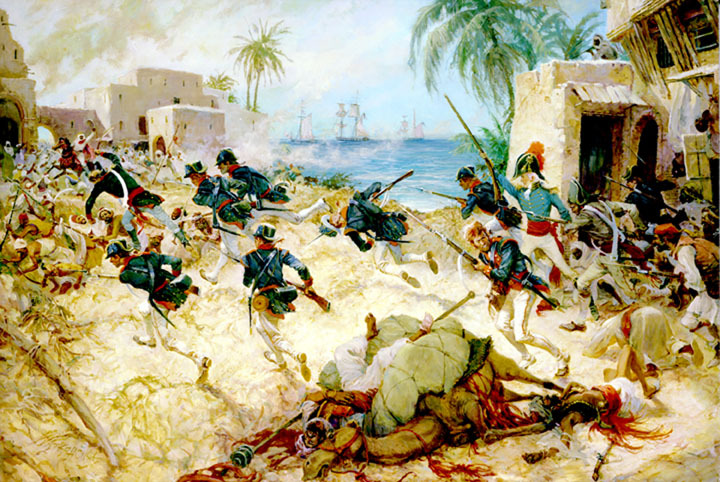 The Spanish took advantage of his absence to seize Mamora, which caused him to shift his operations to the Italian port of Villefranca instead. 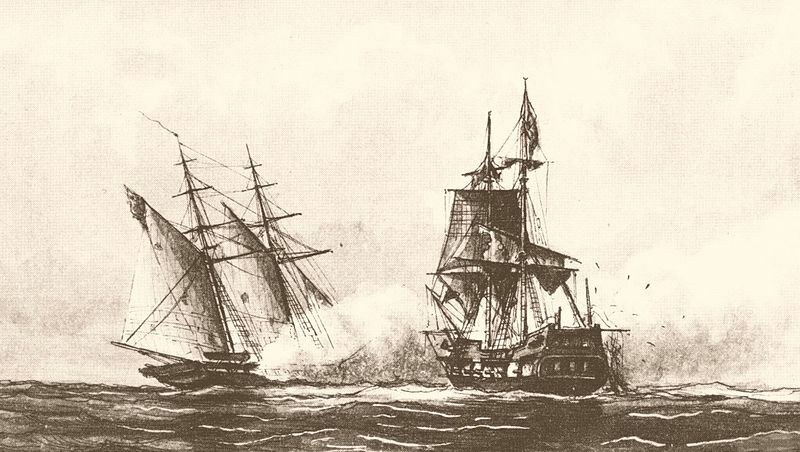 [ii] There he proved so formidable that a squadron of Spanish warships was sent after him, only to be badly battered despite outnumbering Mainwaring’s ships five to four. 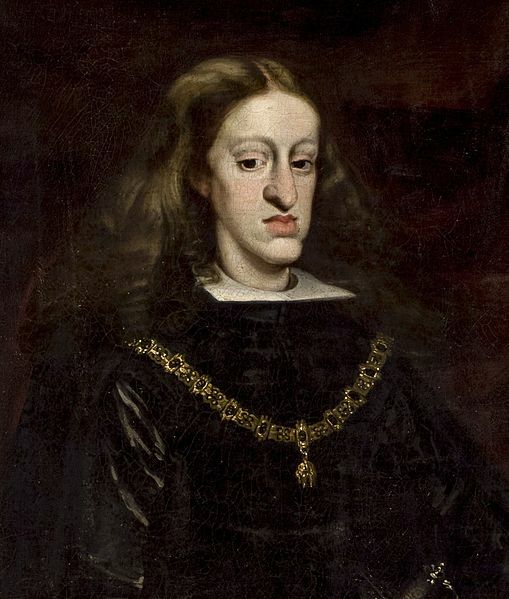 While in the days of Drake or Morgan, attacking the Spanish had been all fine and well, King James I of England[iii] wanted peace with Spain, and Mainwaring’s activities jeopardized that peace. So James sent a message to Mainwaring, offering him a pardon if he gave up piracy, but threatening to send a fleet to destroy him if he refused. Mainwaring, as his later life would prove, was quite loyal to the Crown, and surrendered himself and was pardoned in 1616. 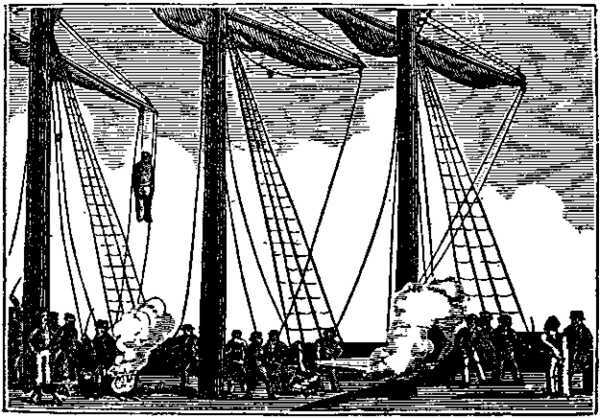 He promptly proved his usefulness by seizing a “Turkish” pirate ship in the Thames, and then building a pinnace for the Lord Warden of the Cinque Ports, who became his patron. 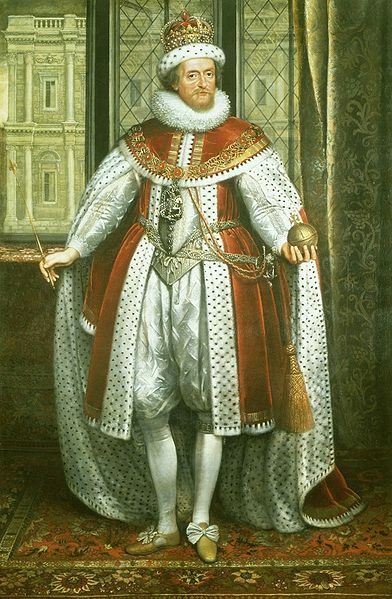 James had kept his eye on Mainwaring, and in recognition of his efforts both knighted him and appointed him a gentleman of the royal bedchamber in 1618. And here is where Mainwaring shows his talent at cultivating patrons. He had written up a short treatise entitled Of the Beginnings, Practices, and Suppression of Piracy, summing up his own experience and offering advice. He had a handsome copy of this made, in a slim volume with gold lettering at the beginning of each chapter, and presented it to the king as a thank-offering, quite possibly on the same day he was knighted. It’s a fascinating little piece. [iv] It was customary in those days for authors to dedicate their works to some illustrious person, and to praise them in the highest degree, and who is more illustrious than a king? Yet even in the dedication, Mainwaring’s personality shows through. He can’t help but super-praise his own career, and mention all the other sovereigns who offered him a pardon and protection! Mainwaring breaks up his discussion of piracy into five sections: 1) how pirates begin, 2) why people turn pirate, 3) how pirates operate, 4) the geography of piracy, and 5) how to suppress pirates. He’s well aware of our three requirements for piracy,[v] and they inform his treatment. For example, he says that Ireland produces more pirates as a percentage of her population than England does because the natives support and trade with pirates readily. One can tell Mainwaring writes from extensive experience. He knows well the harbors Barbary pirates frequent, and where and when they take up station to hunt for prey. 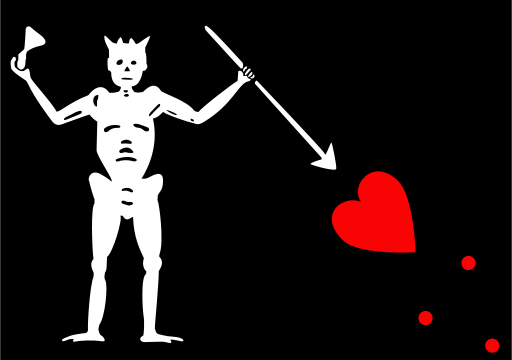 He makes no bones about how hard a sailor’s life is, and why piracy is an attractive option. For all that, he has no low opinion of such men, but thinks the state could put them to good use, preferably in the navy. Some practices he describes are quaint. 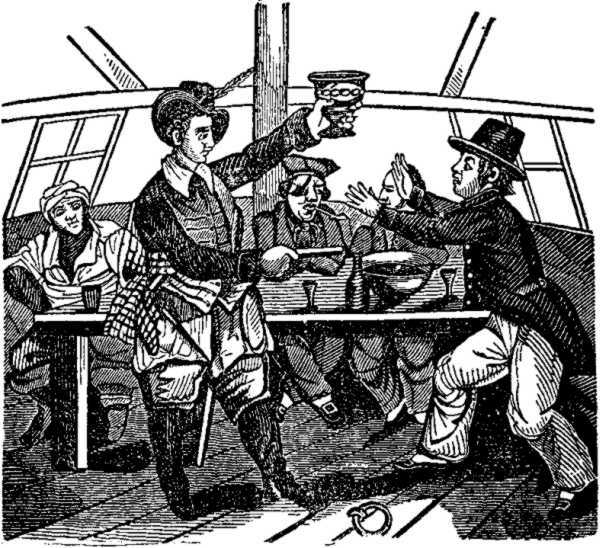 The Irish country people trusted the pirates, but would not trade openly with them for fear of the law. 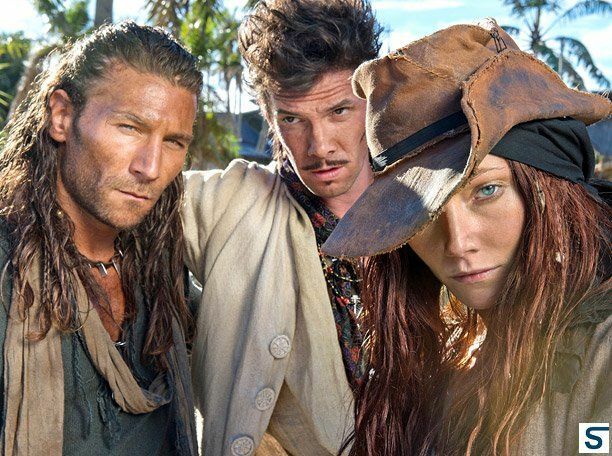 Instead, they would tell the pirate captain where the desired goods might be found, and it was up to the pirates to come get them while leaving adequate remuneration behind. Mainwaring believes one reason piracy flourishes is because the state only hangs the pirate leaders. The crew are generally punished with nothing more than prison sentences, which Mainwaring observes isn’t that much different from being on a ship! In his view, many pirates only engage in “the trade” long enough to make some money and hope to escape detection, while others hardened to the life expect another war with Spain will come soon enough to legitimize them. To prevent piracy, Mainwaring makes several recommendations. He thinks people who have been pirates should be barred from living near the coast unless known to have reformed. He believes it would be even more effective to supply suitable employment for such people to take advantage of their skills, as King James did in Mainwaring’s particular case. Mainwaring does not believe the Navy as then constituted would serve that purpose, as the conditions are miserable and the pay so bad. Curiously, Mainwaring cautions against granting pardons, on the grounds that it encourages people to turn pirate. In this, he belies his own experience. What matters is more how frequently pardons were granted, and whether they were followed up with force to bring in the more recalcitrant criminals. 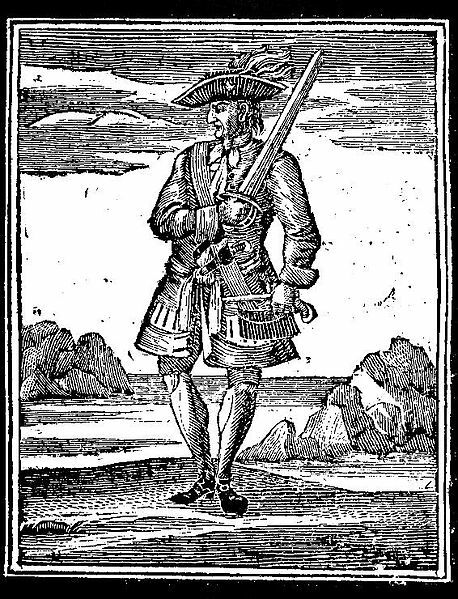 Woodes Rogers’ experience in the Bahamas from 1718 onward shows that, when done right, a general pardon can be very effective. Mainwaring saw more promise in using force, provided the right ships were used. 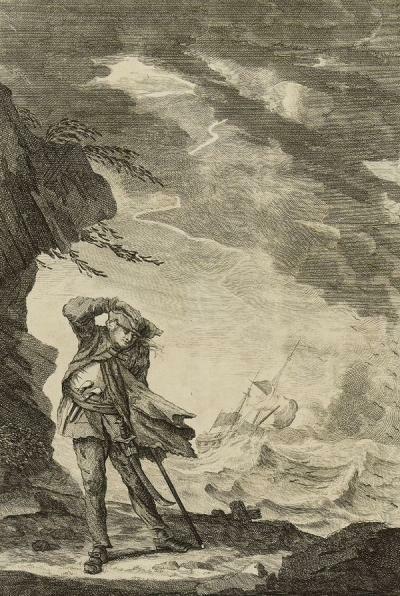 He recommends using “floaty” ships, ships with a shallow draft, such as can pursue pirates to their hideaways. 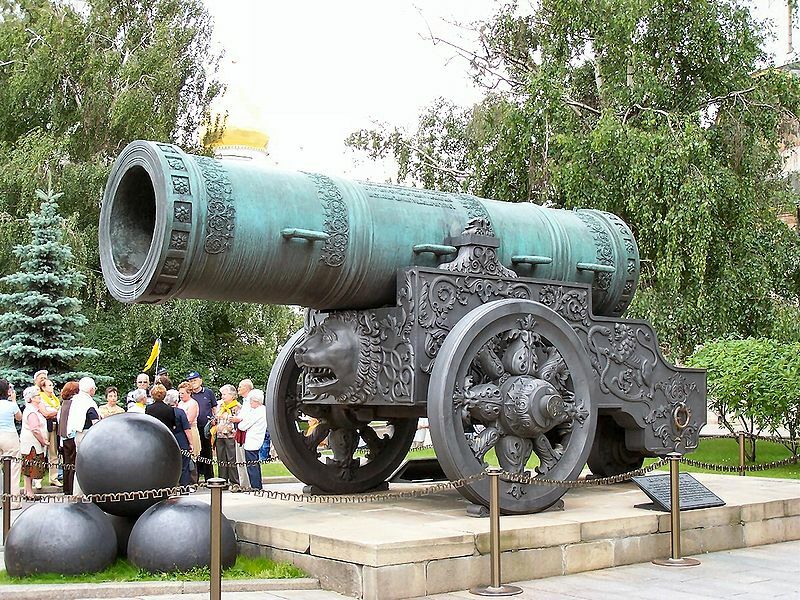 And of course they must carry enough guns to be of superior force. He goes into detail on how to deploy such a force against Irish pirates, but cautions that official corruption will bedevil such efforts. Those who compiled his biography and papers in 1922 thought Mainwaring’s significance was as one of the contributors to the evolution of the Royal Navy from a sea militia to a professional force. From that perspective, his treatise on piracy was a promising step in developing a strategy for one of the problems facing the Royal Navy. 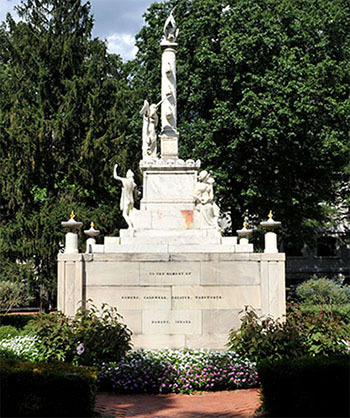 It is a pity that it would be often neglected over the next century. [i] The surname is variously spelled. 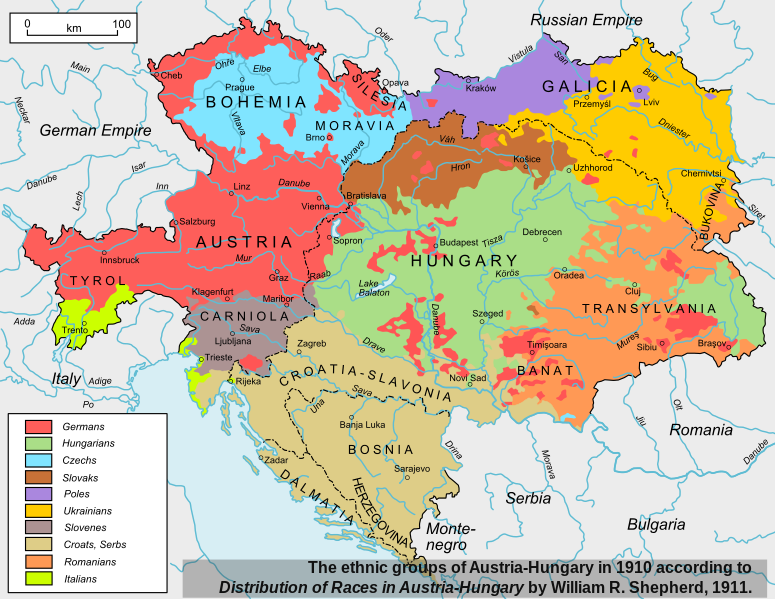 [ii] Villefranca was then a port in the Duchy of Savoy, who opened his harbors to pirates as a way of fighting his Spanish enemies . . . and making a profit off the pirate trade. [iii] He was originally King James VI of Scotland, a member of the Stewart dynasty, and came to the throne in 1567 at the age of one year! His mother, the famous Mary, Queen of Scots, had been forced to abdicate by the Scottish nobility. 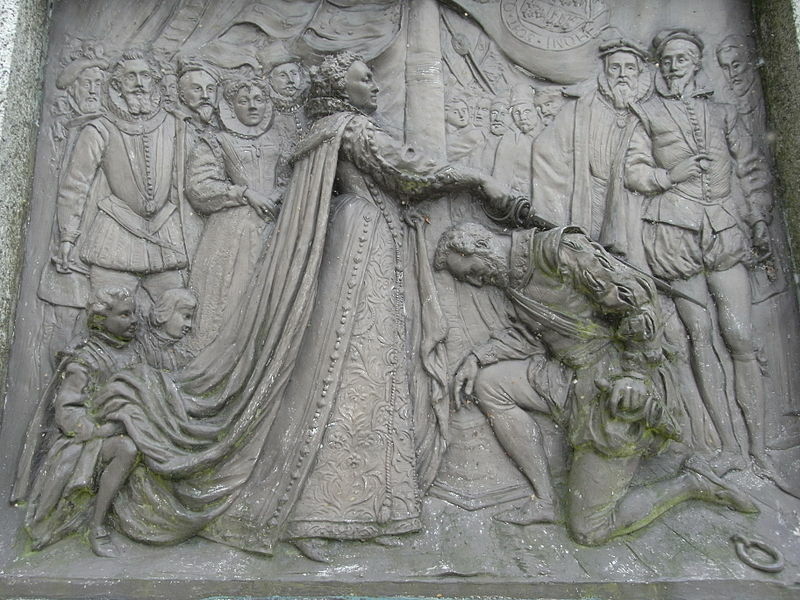 She fled to England, where she was imprisoned and later executed by her cousin, Queen Elizabeth I of England. Ironically, when Elizabeth died childless in 1603, the nearest heir was her victim’s son James! 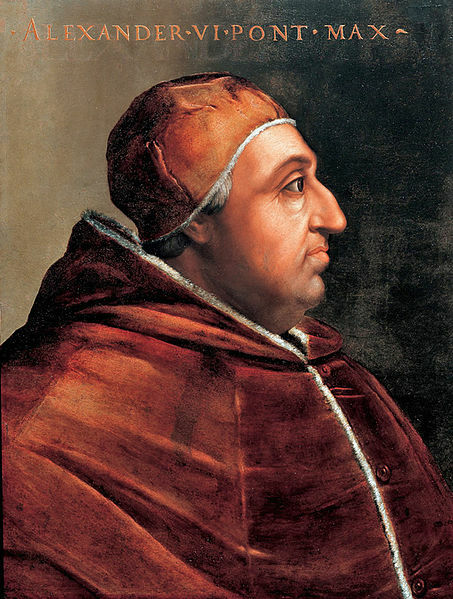 He became king of both countries and reigned until 1625. [iv] If you’re interested in reading it, it is included in G.E. Manwaring and W.G. Perrin, eds., The Life and Works of Sir Henry Mainwaring, Vol. II (1922), which can be found online. [v] Commerce worth seizing, lack of naval opposition, support from a home base. [vii] Having tried and failed to marry a rich widow, Mainwaring had apparently gone to the other extreme and in 1630 eloped with the fourth daughter of a country gentleman without his permission. She was born in 1603, and hence about sixteen years Mainwaring’s junior. It was not a lengthy marriage, for she died in 1633. Mainwaring never married again. 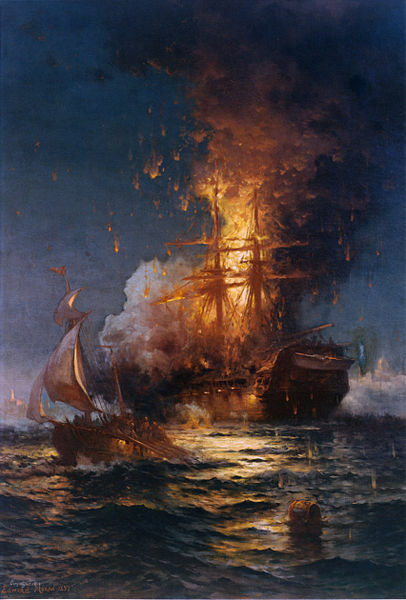 This entry was posted in Pirates and tagged Barbary pirates, Henry Mainwaring, history, James I, King James, Mainwaring, piracy on February 22, 2015 by Brian Bixby.